Home :: Limited Quantity :: Limited Qty - Books :: L Art de LIRE Level 5 Package - bent - discounted! 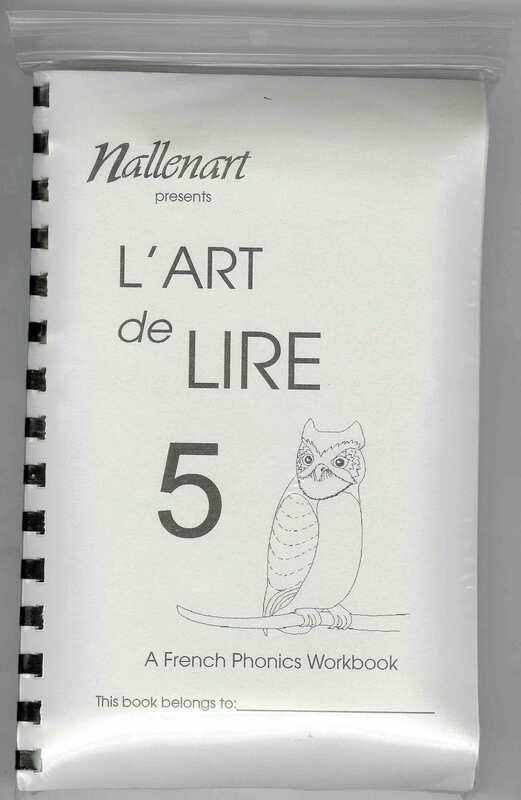 L'Art de LIRE combines beginning conversational French with an introduction to French phonics, enabling children to read simple stories in French from the first lesson. Includes verb conjugations, grammar, and conversational French. Each 80 page Student Workbook features a French-English glossary, easy to understand explanations of new grammar concepts, and exercises. 8 1/2 x 5 1/2 pages. The audio cassette walks the student through the workbook, giving opportunity to hear and repeat all the vocabulary and sentences. Tests are included with workbook. Flashcards can be hole-punched and be strung on a metal ring. The Teacher key for the workbook. Each level includes 1 Student Workbook, 1 Teacher Key, 1 Set Flashcards, 1 audio cassette. Supplementary workbooks may be ordered separately.